Looking to rent a construction class excavator, Komatsu – PC 240 LC-10 , in Rochester NY, Ithaca NY and Western New York? 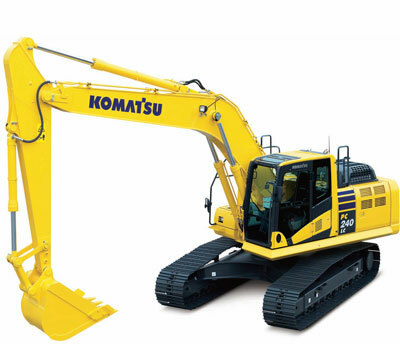 Features Komatsu’s proprietary Closed Center Load Sensing Hydraulic System. State-of-Art New Engine & Hydraulic Pump Control Technology. Technically advanced Variable Geometry Turbro Charger. Precision engineered particulate filter = +90% capture of harmful particulate matter. Horse power (net) = 177 hp. Engine = powerful Komatsu SAA6D107E-2. Bucket Capacity = .76-1.85 cubic yards. Digging Depth = 24 feet, 0 inches. Maximum Reach = 34 feet, 8 inches.